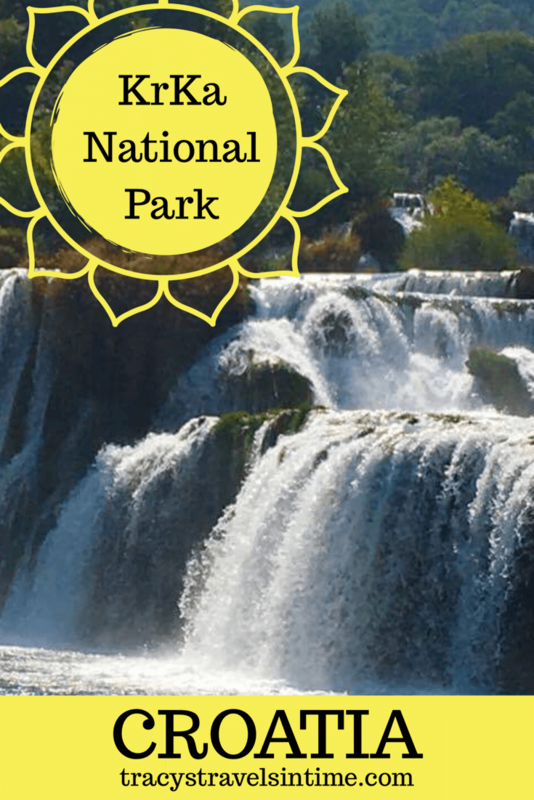 If you are staying in Split one of the great day trips you can take is to KrKa National Park. 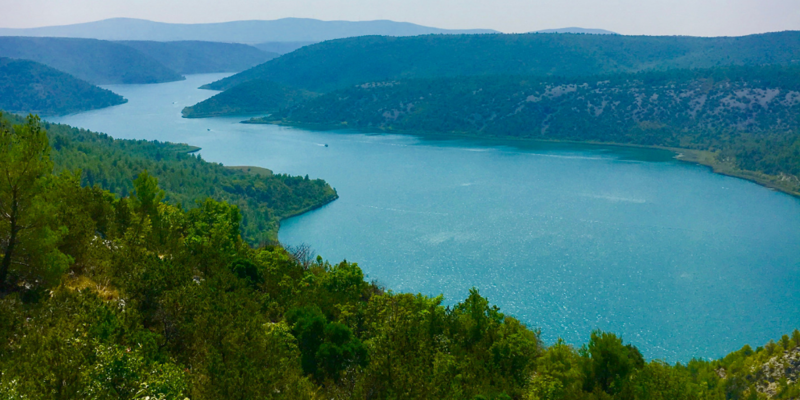 We found a tour with Viator which fitted the bill for us and included a side trip to Sibenik too which was another place on our Croatian bucket list. I will include details of tours at the bottom of the post if you are ready to book an excursion after you have seen the photographs! 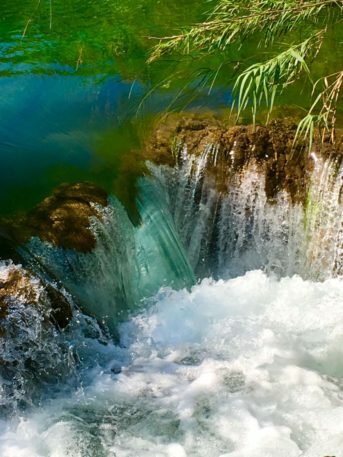 The KrKa River and its basin covers an area of 109 square kilometres. The area most people will be familiar with from photographs will probably be Skradinski buk but more about that later! 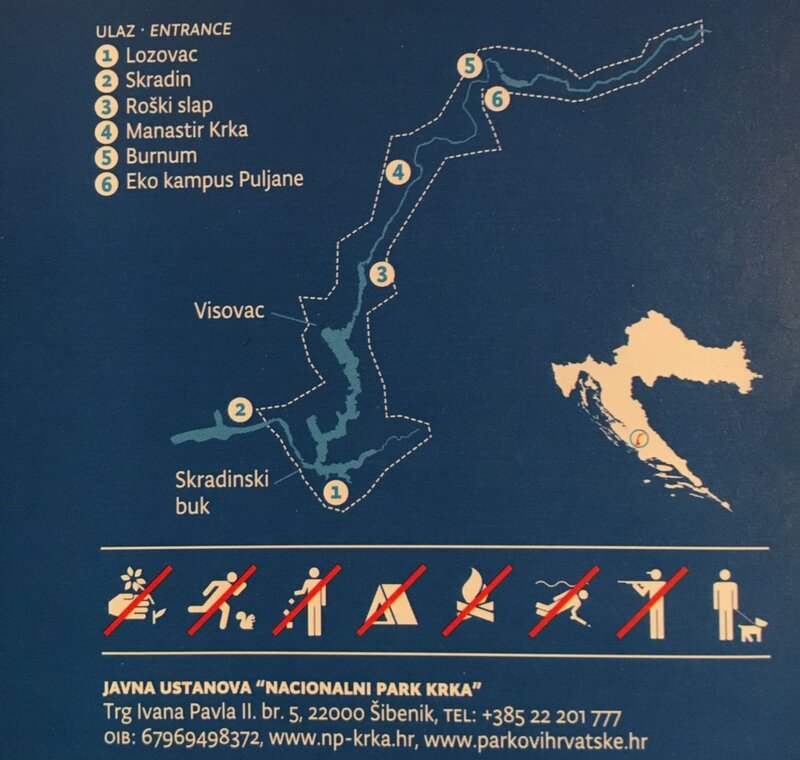 Our KrKa National Park entrance ticket provides us with a helpful map which will give you an idea of the park! On our way the coach pulled over near a place called Drniš where we were able to take some stunning images of the area. We arrived at the Lozovac entrance. If you are on a tour your coach will take you but if you arrive in your own car you need to park at the top. A complimentary bus service brings you down. The drive down to the falls was quite scary exhilarating in the bus and the views were beautiful. The trail takes about an hour to walk and is really lovely. It is possible to swim around the falls – my husband did – but it when we were there in late August it was crowded. It is not easy to actually get into the water and wearing shoes is an absolute must. We spent a few more hours enjoying the falls before boarding the coach for our trip to Sibenik. 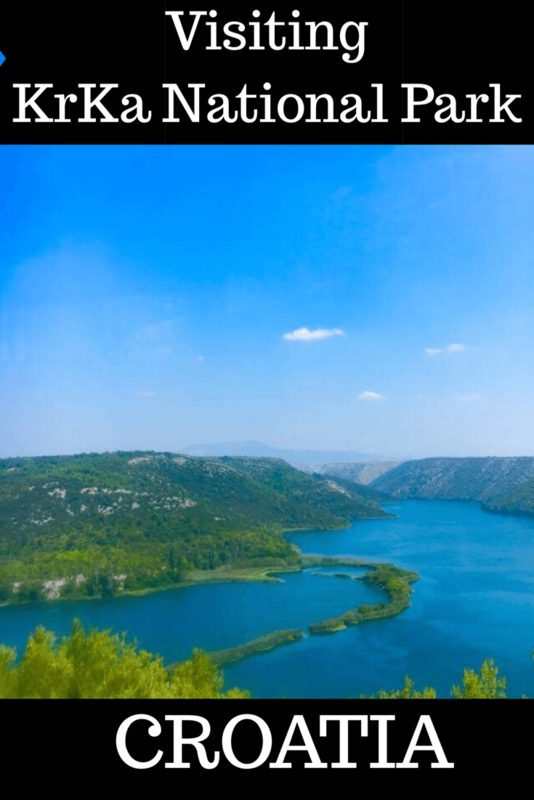 We booked the trip though Viator but there are loads of trips to KrKa available from Split – see below for some of the great options! Wear your swimming costume under your clothes as there is no-where to change! There is food and drink for sale but it is expensive – either take your own or take cash to buy some at the falls. Do wear those water shoe things that are for sale everywhere in Croatia or you may find it difficult to get into the water – it isn’t easy anyway but with nothing to protect your feet ouch! Have you been to Croatia? 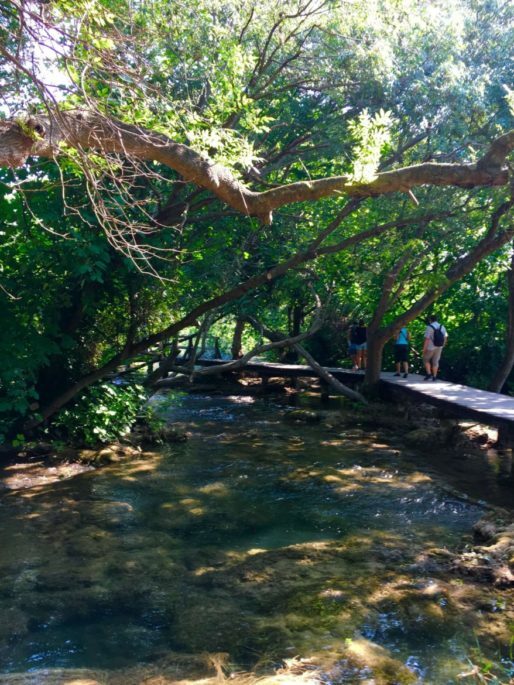 Did you visit Plitvice or KrKa – what did you think? If not what are the most spectacular waterfalls you have seen? Previous Post Diary of a travel blogger – the early years! Next Post Visiting The Maldives – a dream vacation destination! nice photos! 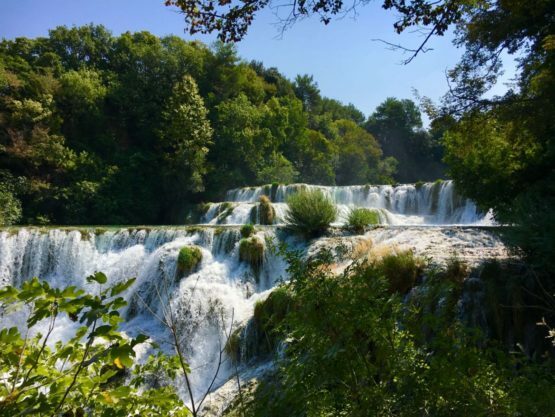 so which one did you like more, Krka or Plitvice? Hi Tanja we didn’t make it to Plitvice due to logistics – we loved KrKa though! Love this post you photos are amazing! Adding this to my list for our road trip coming up this summer! 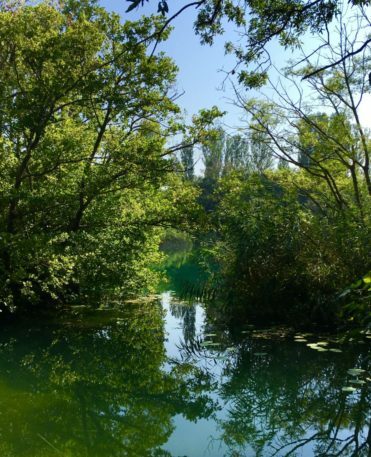 Thanks Bethan – there are lots more posts on Croatia on my site if you are heading there next year! Sounds good Katy! 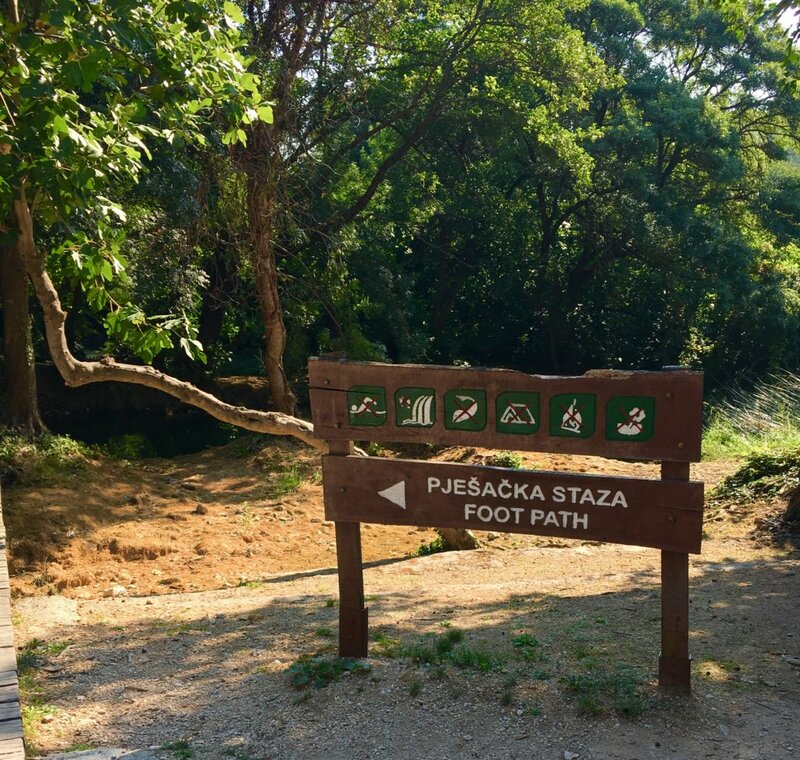 Thanks for reading another post about Croatia! I can’t pronounce it but KrKa is a great name. My husband loved swimming there! 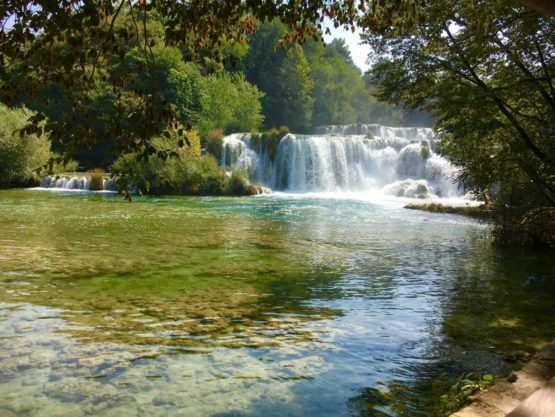 (I was a bit more reluctant as getting in the water is a bit tricky) I still want to visit Plitvice – next time we are in Croatia its a must! Thank-you it is lovely and the waterfalls are stunning! Thank you Hillary have a great trip to Croatia! Its a beautiful country! 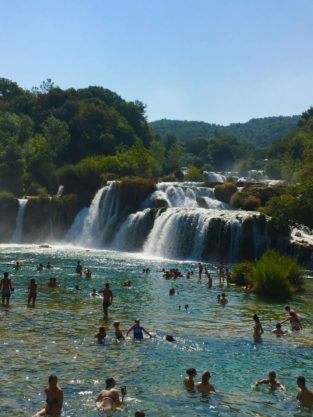 Thanks for stopping by Andrea – I am sure you will love KrKa its very beautiful! It was busy but it was the end of August – we really enjoyed it but by the time we were leaving it was getting very crowded! We want to head to the islands next time Erin as we didn’t see many except the day trip to the Elafit Islands. I have Hvar in my sights!! Its a great country and I think when we are back in Europe we will be visiting again a lot! It is lovely Christine and I haven’t a clue how to say it either though my husband keeps telling me he does ? lol It is a stunning country we loved it! I have not been to Croatia but I have heard good things about it. KrKa looks beautiful. Thanks for the photos. Its a fabulous country to visit – I can’t recommend it enough! Love this Tracy! The falls look gorgeous! thank you for sharing!! Split is fantastic – I have a post to write about it yet – the last of my write-ups about Croatia! It does! Never thought about that! It was very pretty! I’m so bummed I missed this during my recent trip to Croatia! Oh well, I’ll just have to go back! Definitely – go back! Croatia is one place we are intending to return to! This is a very scenic place. Loved the waterfall, it looks so surreal, as if it is straight out of a painting. Lovely place to spend the day in the midst of nature. 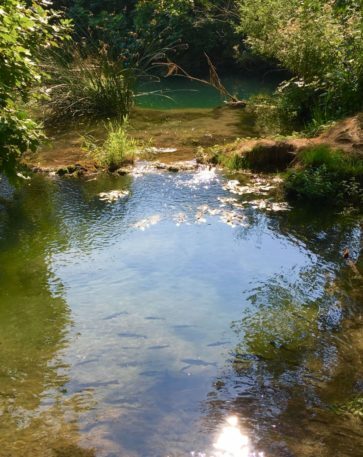 Thank-you for your comment – yes it was beautiful and there were lovely birds and fish to spot! 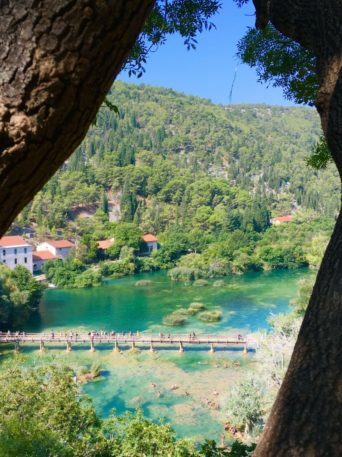 We had a choice between Krka and Plitvice, and we chose the latter. Krka looks really stunning as well. I think Croatia as a whole is one of the most beautiful gems of Europe. It truly is a beautiful country! Next time we will go to Plitvice! Just beautiful. I was on Split a year or so ago and would have loved to have been here too. Shall have to note it down for when I return. I’ve heard so many things about how incredible Croatia is and your photos are just more evidence! I love to hike so this would be a great excursion for me. Thanks for sharing; Croatia just keeps moving up my list! Its a great destination and well worth visiting! We loved it and would definitely go back! Those are fantastic waterfalls. 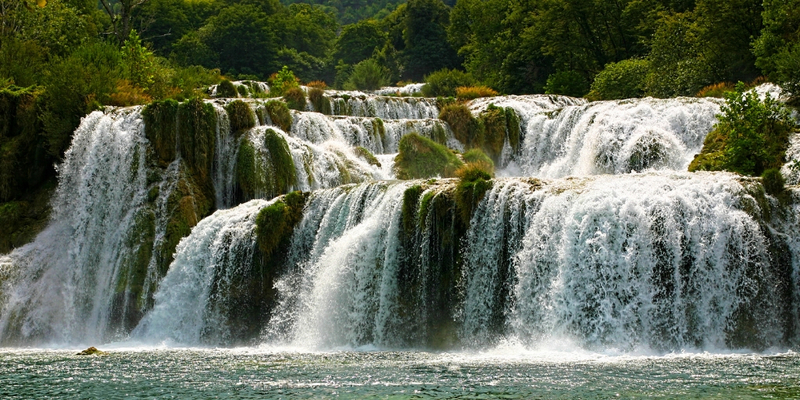 I have heard and seen photos of Plitvice but not of Krka. It’s nice to know that there are alternatives. I shall remember my water shoes if I visit. Thank you Michele – they are lovely and yes definitely take your water shoes! 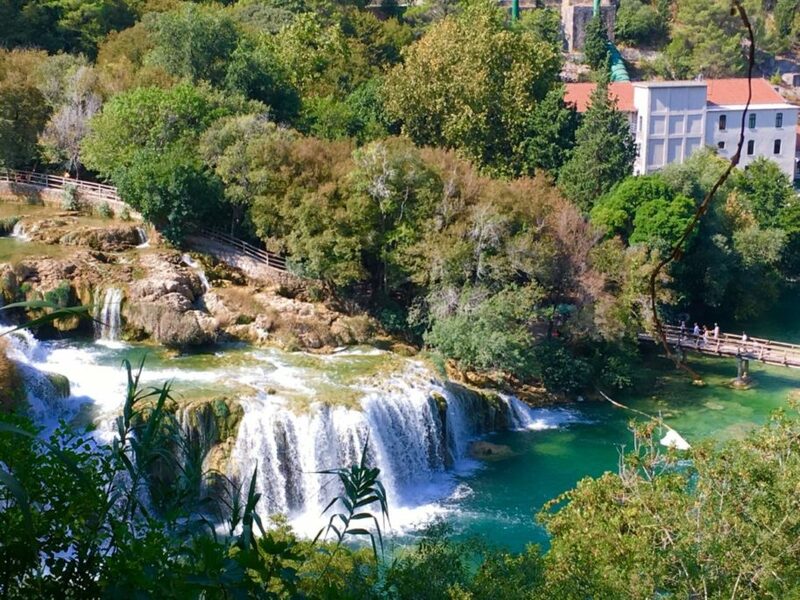 Aww Krka was the one place we didn’t get to make it to during our stay in Croatia and I’m bummed we didn’t. It looks so beautiful!!! Thanks David – we loved Croatia (as you can probably tell with all the recent posts about it!) It was beautiful though a little crowded in August!